I have not had a cinnamon roll in a long time...a really long time. A few weeks ago I decided that this had to all end. I had to face my fear and dive right in and try to make this delicious dessert or breakfast for my family. I was nervous because in the past some of my gluten free baking (especially in the area of bread like recipes) never ended that great. They were always ho-hum with a little bit of a disappointment. I set out in search of a great recipe and LO and BEHOLD I found one. I found this recipe on Food.com by Andrew Mollmann dated from June 2009. The reviews were off the charts...this is always a good sign. The only thing that people did not like was the amount of cinnamon sugar used...well, if that's it...we can change that. I set off to make the dough and a few hours later ended up with the most amazing cinnamon roll. Now, I am not going to lie..they are different from the Cinnabon style roll because they don't have the soft, airy wheat to give you this melt in your mouth, gooey experience.....BUT....they were pretty darn close in flavor and texture. I thought the dough was excellent. 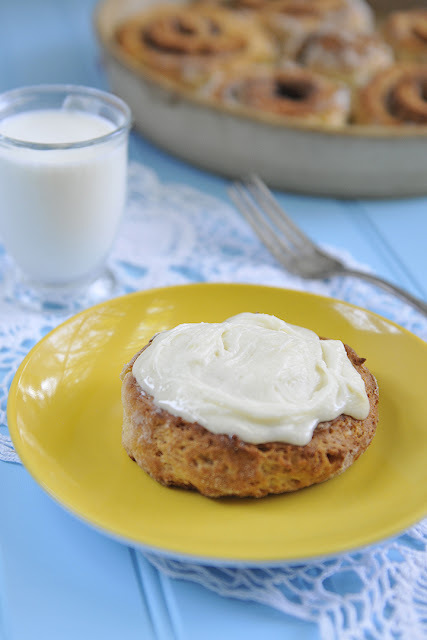 It reminded me of a yummy biscuit on the outside and a soft roll on the inside combined with the best topping and lots of cinnamon on the inside. Sounds good, huh? 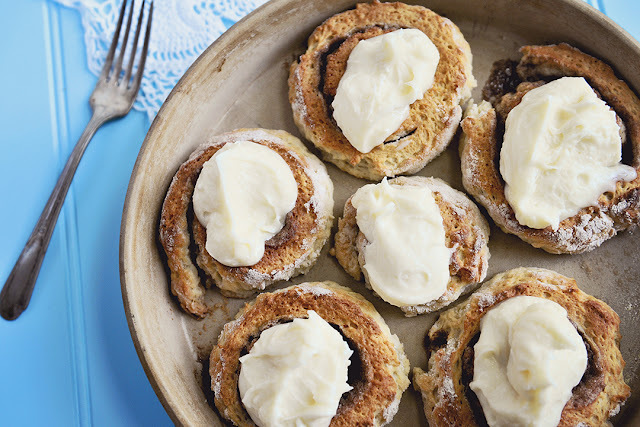 Face your fear and make these for you and your family. You won't be disappointed. Follow the steps for rolling out the dough and don't be intimidated about the stickiness of the dough...that is what the rice flour is for. Use it but don't abuse it! 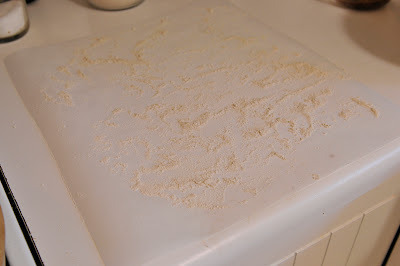 I just made that up...LOL I will show you a picture of how much I use when flouring the parchment paper...this helps give you a visual. Cooking should be fun, cooking should be challenging but most of all cooking is about eating the things you love. I love these! ENJOY! Dissolve the yeast in large mixing bowl with warmed milk. Let bubble for a few minutes. Add sugar, butter, oil, and vanilla to milk/yeast mixture. Stir to combine. Sift together salt, potato starch, cornstarch, millet flour, baking soda, baking powder, and xanthan gum. Slowly add flour mixture to mixing bowl. Stir until well combined. 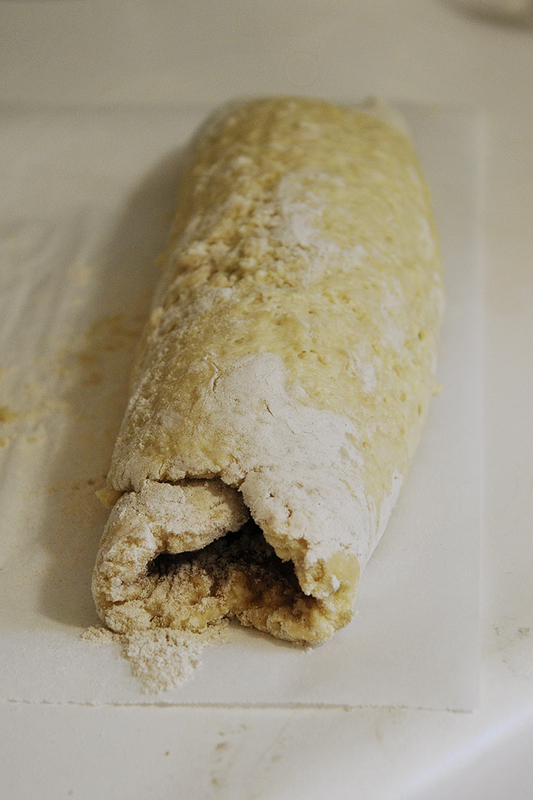 If the dough appears too sticky/wet, add more flour as necessary. 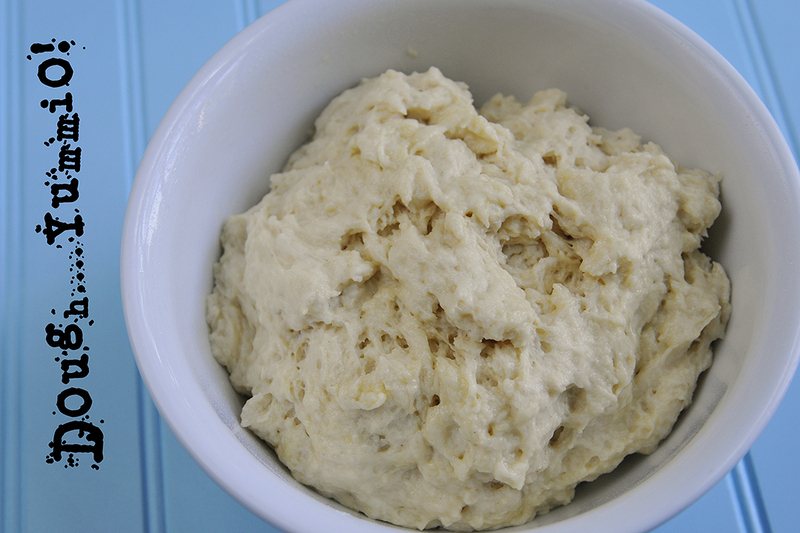 Remove dough from mixing bowl and place in a greased container and put in a warm place to rise for 45-60 minutes. The dough will be extremely sticky, do not worry, this is normal. 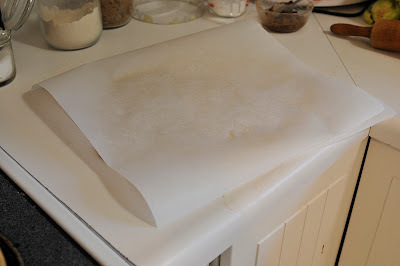 Remove top sheet of paper from rolled dough and spread softened butter on top of dough. 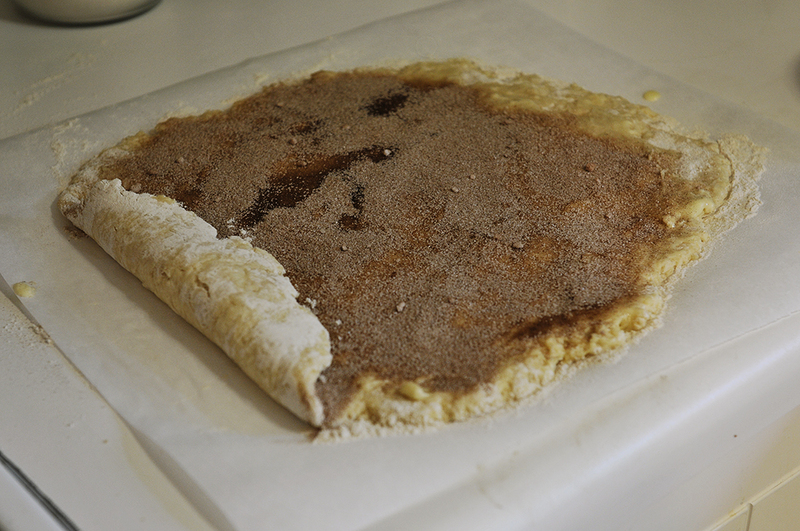 Combine brown sugar and cinnamon and sprinkle over buttered dough surface. 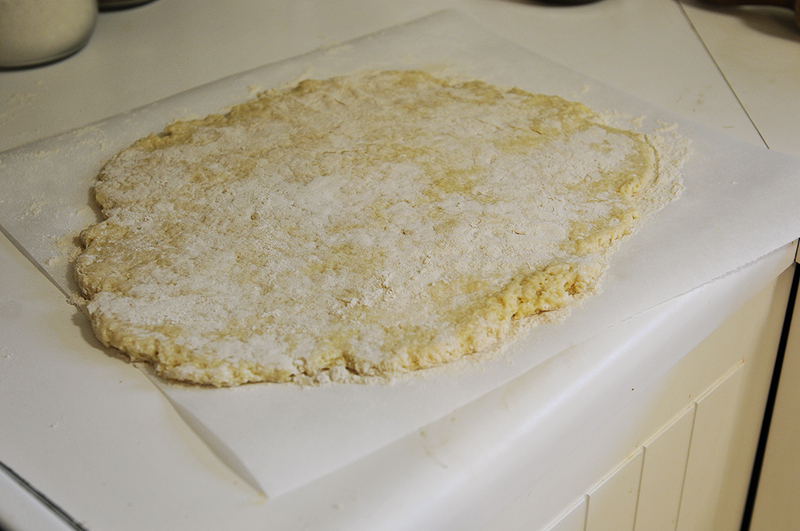 Leave a 2" strip of dough uncovered at one end of square. Some reviewers have commented that there is too much filling, if so, don't use it all ;). Using bottom sheet of parchment paper has an aid, roll the dough into a log. Start at the end opposite of that which you left uncovered. Carefully cut into 8 equal pieces using a serrated knife. ( I used a piece of thread and it worked like a charm..this would be my recommendation.) 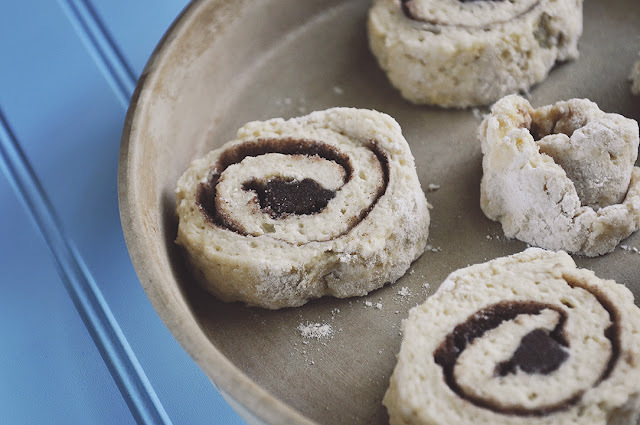 Place rolls in a greased baking dish, leaving about half an inch between rolls to allow for expansion. Put any remaining cinnamon/sugar mixture in the bottom of the dish. Bake in oven for ~18-22 minutes until tops are golden brown and delicious. Check for doneness by running a knife between rolls in the center of the dish. Dough should not easily stick to the knife. 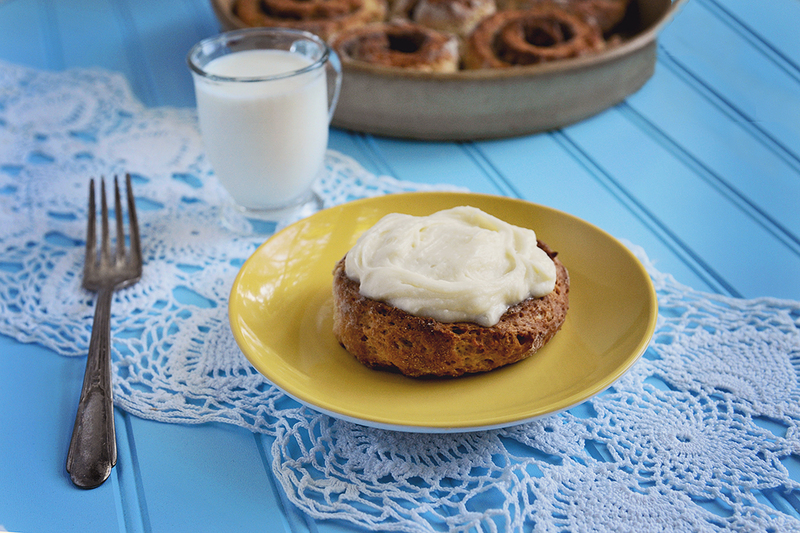 While the rolls are baking, whip together frosting ingredients until soft and creamy. Try not to eat it all before the rolls are done!